Angela was expected to begin courses at Trent University’s Lady Eaton College in Peterborough in September 1983. Prior to beginning classes, she had been traveling between Ottawa, Thunder Bay and Calgary (Alberta). 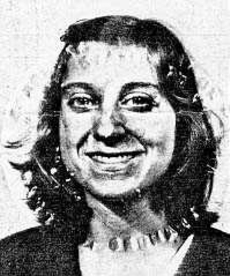 It is believed that Angela was last sighted on August 22, 1983 in Ottawa at the Youth Hostel. When Angela failed to arrive in Peterborough by September 1, the University President reported her missing. The missing person report was filed with the San Francisco Police Department. Angela’s father lived in San Francisco at the time and she was still receiving her mail at her father’s residence.